How much oil is available. 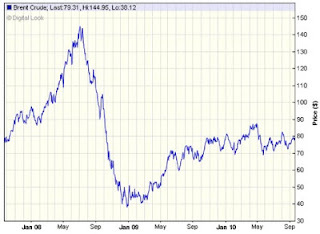 Many of the long-term global trends point to steady increases in the price of oil. Reserves are finite so the commodity is slowly becoming scarcer ' something that pushes the price up. How much oil is demanded by consumers. The explosion of development in countries like China and India has created more demand as those and other developing regions industrialize (as they build more roads, increase manufacturing, etc - it all requires oil). The bearish argument is that technological new energy developments - solar, wind, etc - should begin to reduce the world's dependence on oil. Supply is controlled by the countries that export it. OPEC meets regularly to set the amount they are willing to release onto the market. OPEC-oil accounts for c. 35m of the c. 80m barrels released onto the global market every day. OPEC can reduce output as a means to push prices higher and can increase it to meet greater demand. It is tempting to think that all the producers are motivated simply by a high price. In fact, for some countries it may be beneficial to have a lower price if it means they can maintain, or increase, the volumes they sell. The price of US-dollars. Oil is priced in dollars so movements in that currency also impacts on crude. The weaker the dollar, the higher the price of oil because it takes more dollars to buy a barrel. The potential that oil speculators see for the price to rise and fall. It is possible for investors to speculate on the price of oil by purchasing futures contracts. 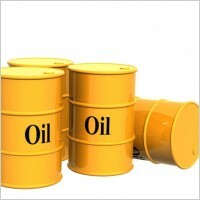 Investors (investment banks, hedge funds, pension funds, etc) will buy a quantity of oil to be delivered at a future date. If the price of oil has risen by the time the contract is delivered, the investor makes money. It became a contentious issue in 2008 when critics alleged that this type of speculation helped to push the price of a barrel to a record $147. However, investors have defended the process, arguing that speculation does nothing to reduce the actual amount of oil on the market, which would push the price up, and that other commodity markets have shown greater increases than the oil market with no price speculation.